If you’re looking to experience all the best that Halloween has to offer in Massachusetts, than attending a Halloween or Autumn Festival is something that you won’t want to miss. Typically these events run throughout October, and include multiple Massachusetts Haunted Attractions such as haunted houses & corn mazes, festive Fall treats such as candy apples, and creepy Halloween ghouls and spooks prowling around the premises. 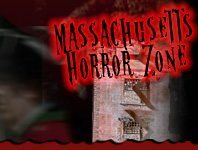 If an all-inclusive one stop shop is what you’re looking for in Massachusetts Halloween entertainment, then you’d best attend a Massachusetts Festival, and experience all of the best Massachusetts Halloween activities, all in one place. Breezy Gardens Pumpkin Festival Leicester 243 days ago Rate Now! Carter and Stevens Farm Annual Harvest Festival Barre 210 days ago Rate Now! Chris' Farm Stand Pumpkin Festival Haverhill 189 days ago Rate Now! Krochmal Farm Annual Pumpkin Festival Tewksbury 242 days ago Rate Now! R & C Farms- Simons Pumpkin Drop Festival Scituate 188 days ago Rate Now! Silverbrook Farm Harvest Festival Acushnet 188 days ago Rate Now! West End Creamery Fall Festival and Corn Maze Whitinsville 188 days ago Rate Now!